This tradition of great beers, fine wines and wholesome food continues and we invite you to join us and ensure that The Stag & Hounds will continue for a further five centuries ...at least! 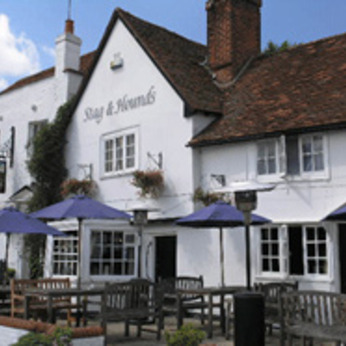 One of the oldest pubs in the area and a truly iconic building for Binfield and its surround; The Stag & Hounds has always been known for its fine fare & hospitality, offering visitors a welcome break and a hearty meal to see them on their way. This tradition of great beers, fine wines and wholesome food continues and we invite you to join us and ensure that The Stag & Hounds will continue for a further five centuries ...at least!